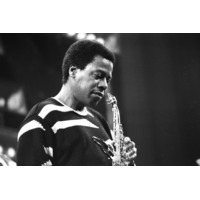 Wayne Shorter (born August 25, 1933) is an American jazz saxophonist and composer, commonly regarded as one of the most important American jazz musicians of his generation. He is generally acknowledged to be jazz's greatest living composer. Shorter's output within the field has earned worldwide recognition, critical praise and various commendations, including multiple Grammy Awards. The virtuoso has recorded over 20 albums as a leader, and appeared on dozens more with others including Art Blakey's Jazz Messengers in the late 1950s, Miles Davis's second great quintet in the 1960s and the jazz fusion band Weather Report, which Shorter co-led in the 1970s. Many of his compositions have become standards.